African American women have lower success rates from IVF - despite yielding more eggs and embryos than white women. Most believe that the most important number to look for is how many eggs and embryos are retrieved. 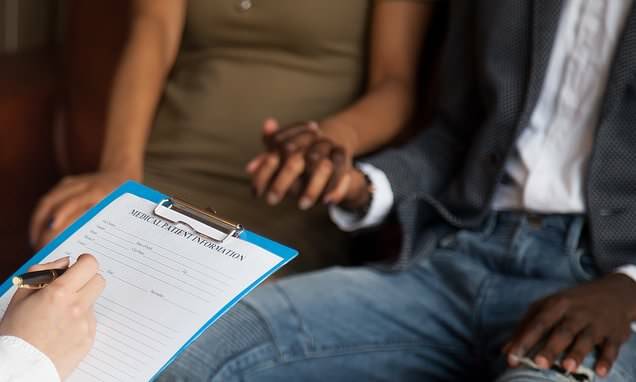 But new research shows that there may be other factors at play, especially for black patients, who have a 14 percent lower live birth rate than white women, according to data from a large clinic in Washington, DC. Some of the discrepancy can be explained by the fact that the African American patients were more likely to be older, with a higher BMI. However, the researchers of the study warn much of it is likely caused by biological factors that we don't understand because black women are under-studied in medical research. The paper, being presented today at the conference for the American Society for Reproductive Medicine in Denver, is an analysis of 36,000 patients that were treated at Shady Grove Fertility between 2004 and 2016. They showed that, in this cohort (unlike the general population), African American women were less likely to suffer uterine disorders, and they responded better to the ovarian stimulation given to extract eggs. They produced more eggs and more healthy embryos were fertilized.